It's now more than three weeks since I sent my 12 applications off into the big wide world. 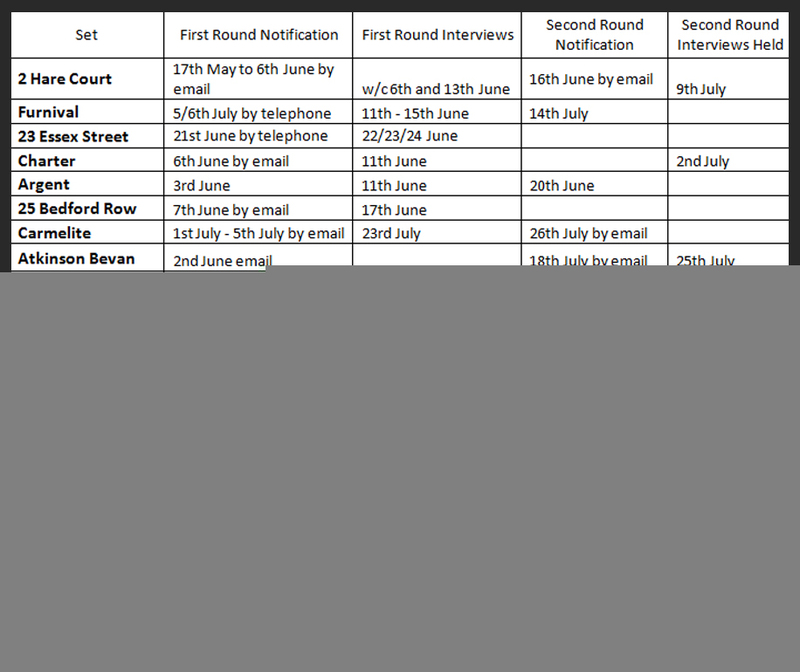 Now, as I've been at pains to express, the pupillage application process isn't fun. It's a vital experience though, something you have to go through so you can be happier in the future. Like neutering your favourite dog. The worst thing about it, though, is that it turns otherwise rational, sensible people into slobbering idiots. I am, of course, one of those slobbering idiots. Worse than that, I appear to have turned into one of those stereotypical teenage girls in particularly badly written American sitcoms whose constant refrain is "WHY HASN'T HE CALLED?" I KNOW that Sets aren't yet ready to get in touch with people and invite them for interview; but I don't act like it. Luckily for me, the Pupillage Pages has got hold of a list of OLPAS criminal chambers, and when they sent out responses, from last year. It won't be entirely accurate for this year, most Sets are a law unto themselves and will change their timetables just to spite me, but it will at the very least be a helpful indication of when I can truly let me crazy side out. Now, going by the list above, 2 Hare Court responded from 17 May last year. Which means that in two days time it will be entirely rational for me to act like an irrational loon. What a glorious contradiction. *Ignorance of the law is a defence, right?